A gift for my mate, celebrating our third anniversary together. Welcome to NightWing Galleries Studios website. 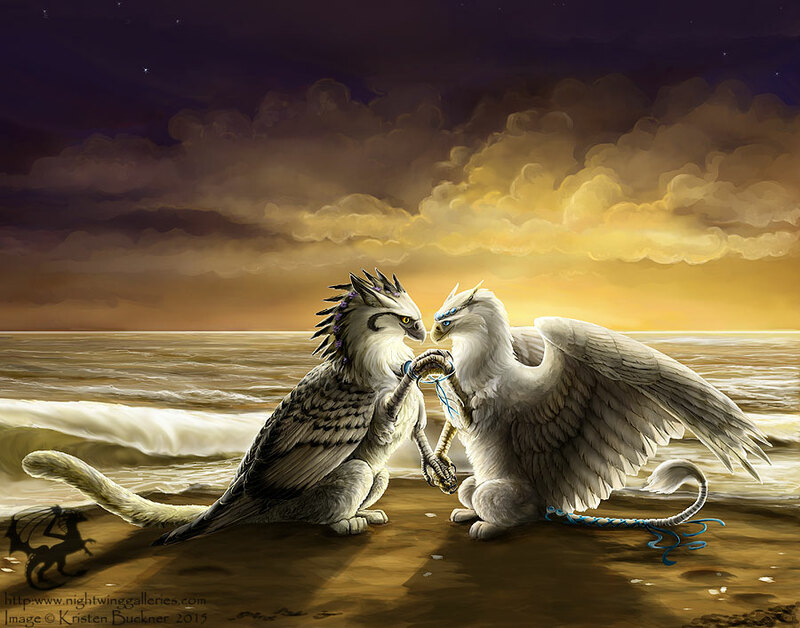 In these pages you will find a collection of artwork depicting dragons, gryphons, and other fantasy creatures. Follow me on Facebook for updates on local shows, and displays as well as an inside look into new artwork. Or come on over to my Etsy shop, where I have my art prints, originals, and plushes listed for sale. 8/3/2016: I have just gone through and added a lot of new artwork to the Portfolio section. Coming next: Sketches and rough drawings. If you happen to find something that doesn't work, or broken links please let me know. I really appreciate any feedback I get. All artwork contained within these pages is © Kristen M. Buckner. Do not use without permission. Please contact me if you are interested in using any artwork from NightWing Galleries.